Over the last two weeks I've had two weddings in two different cities, followed by a week abroad. 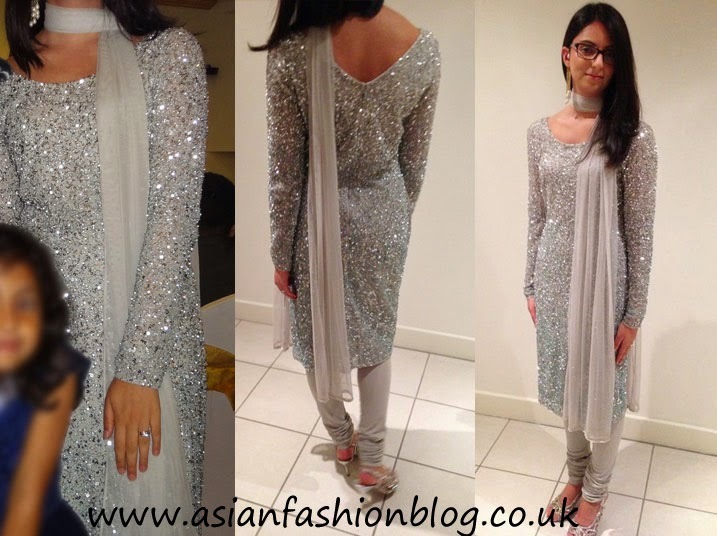 It's all been very hectic, but I'm finally getting round to some asian fashion updates for you, starting with a review of my new outfit from Raishma's 2014 Ready To Wear collection. I got some positive feedback when I posted a teaser pic of the outfit on Twitter last month, read on to see how I wore it! First of all, I was surprised at how glitzy the outfit was when I received it. 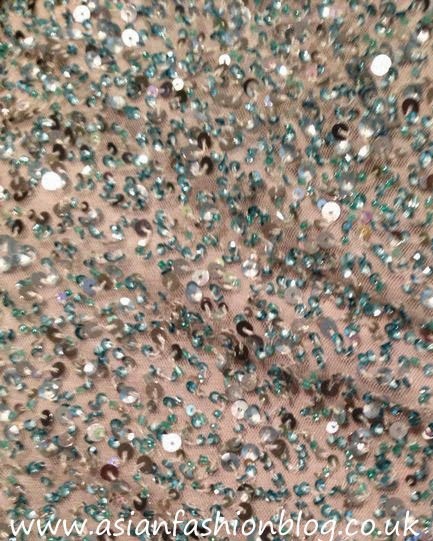 It looked sparkly enough in the pictures on the website, but in person it really had so much more "wow" to it. When holding it up in your hands, the outfit feels quite heavy, but once I had it on, it felt really comfortable, the inside lining is a soft stretchy fabric and prevented any itchiness which can sometimes occur with outfits which have this much detail on them. 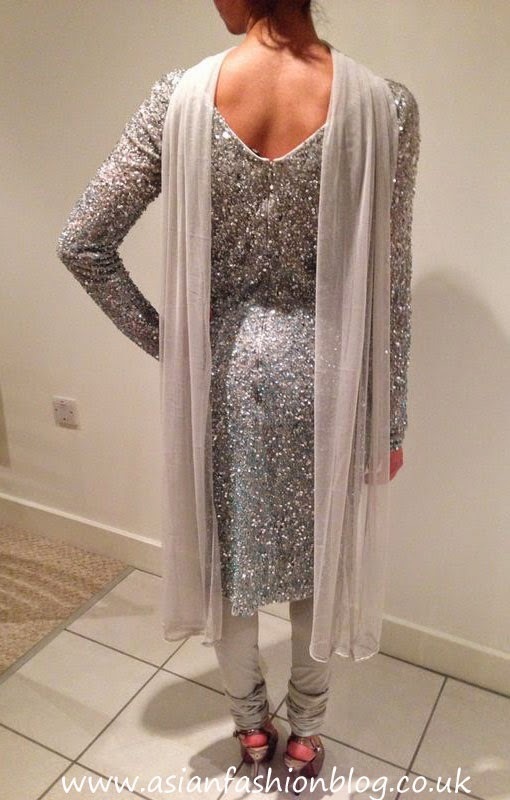 When it came to wearing it for the wedding, I was tempted to add some more sparkle with big jewellery and accessories, but as it was an evening event I thought I'd go for more of an understated look. I decided to let the dress shine and all I wore was my pearl ear cuff from Strand of Silk. I can't wait to wear this again, maybe at a non-asian event next time! 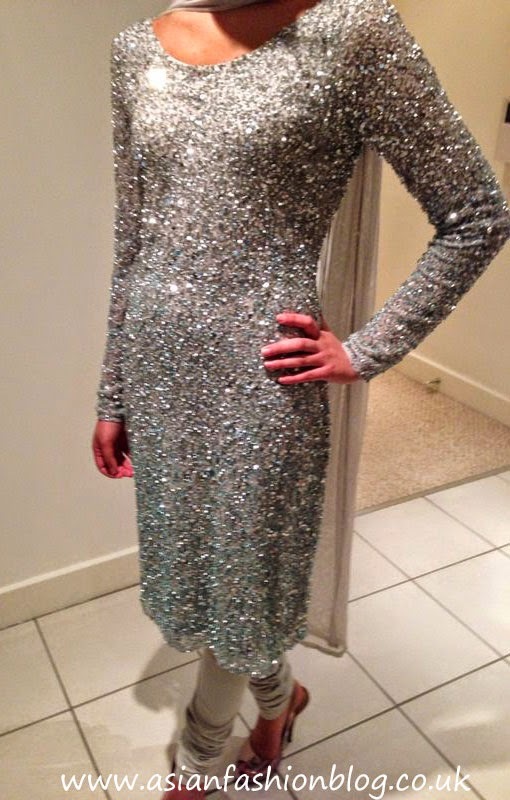 Raishma also have this outfit in "champagne" colour, check it out here, both are priced at £175. It's worth following Raishma on Twitter to get updates on discounts and sales. 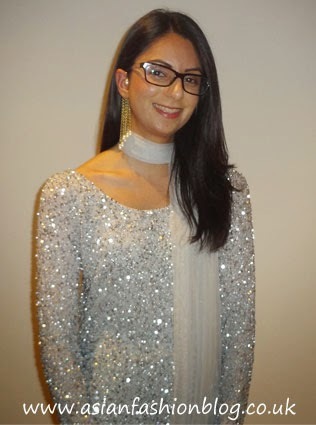 I was provided the outfit as a gift from Raishma.co.uk for this blog post but the views expressed here are my own opinions.